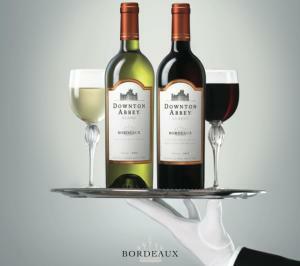 Just in time for Downton Abbey's 5th season, Downton Abbey Wines expands its portfolio with the Countess of Grantham Collection – a delicious selection of varietal wines crafted with premium fruit from California. The new world bottlings, including a Cabernet Sauvignon and a Chardonnay, take inspiration from Lady Cora Crawley, the thoroughly modern, American-born wife of British aristocrat, Robert Crawley, Earl of Grantham. Bold-flavored and fruit forward, the new wines are the perfect counterpoint to Downton Abbey Wines' more classically restrained Bordeaux offerings.